Everest Base Camp Trekking Group In Nepal. Trekking is an outdoor activity of walking for more than a day. It is a form of walking, undertaken with the specific purpose of exploring and enjoying the scenery. Trekking could be a motive, It could be a commitment, an aim, an objective, a mission, a party, a social gathering. It could be a place where you find friends, and it could be a journey. It could be a slightest chance to save our future generation from losing the nature lovers, mother earth holding within. It can be shortened or extended as per the desire of trekkers. Trekking is more challenging than hiking since it tests one's ability, endurance and their mental as well as psychological capacity. There are many different ways to do a trek and trekking culture often varies from country to country. It usually takes place on trails in areas of relatively unspoiled wilderness. 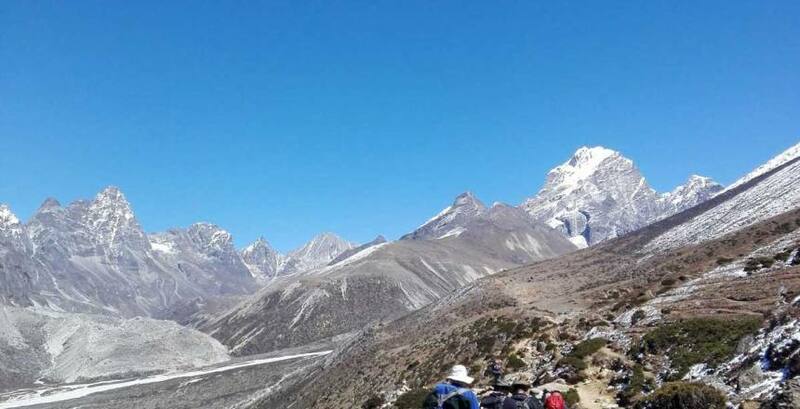 Everest base camp trekking Company basically provides two types of trekking which are Teahouse Trekking, Camping Trekking, and Hiring guide and porters. Teahouse is the local lodge where you can eat and sleep during your trek. If you are going for a teahouse trek, you will have to stay in this type of accommodations. Whereas, Camping trek is a fully Organised Supported Trek. 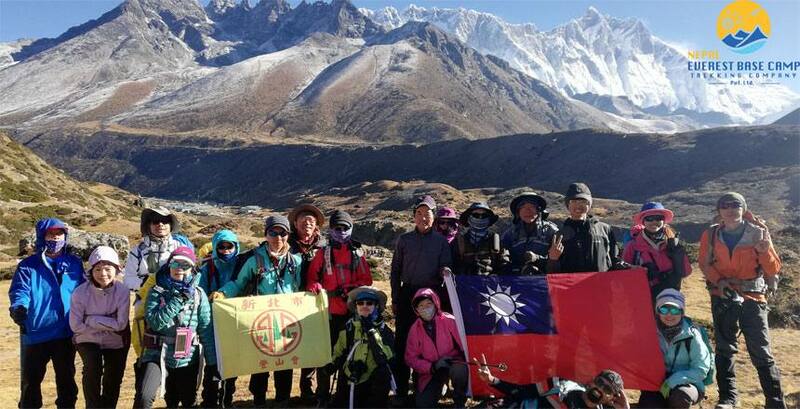 Camping trek includes a team of the guide, cook, Sherpa, & porters to give you accompany. Trekkers should carry an only small bag or what they might need during the day. At night, they are provided dining tents, sleeping tents, & toilet tents. Guide and potter hire as per daily basis. In this type of trekking there you the customer will be a pay service charge and wages of guide and potter as per daily basis or full trip basis then provided the guide and potter, needed official document for the trip by contract agency. Trekking can be viewed from two different points: as an intense exercise, or an amazing and unique learning experience. Personally, I would love to learn whatever, I can during my trek. In trekking, we have to face different difficulties and uncertainties, by overcome them we allow ourselves to enhance our knowledge, experience and the understanding of the world. Nepal is the home of Himalayas with various natural places for trekking. Nepal had different trekking trail/route. 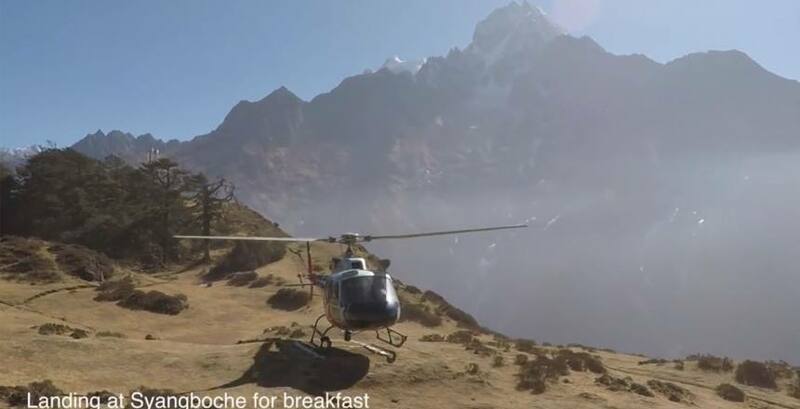 Most of the famous trekking areas some of the famous trekking areas of Nepal are given below as short description. The Everest region, also known as the Khumbu region, is one of the most visited regions for trekking in Nepal. It is situated in northeastern side of Nepal. The region is a major Sherpa settlement of the Himalayas and has an amazing mountainous landscape. About two third of the trekkers in Nepal visit the Annapurna region. The area is easily accessible, hotels in the hills are plentiful, and treks here offer good scenery of both high mountains and lowland villages. Most of Central Nepal is dominated by the Annapurna Himal and the village of Pokhara. 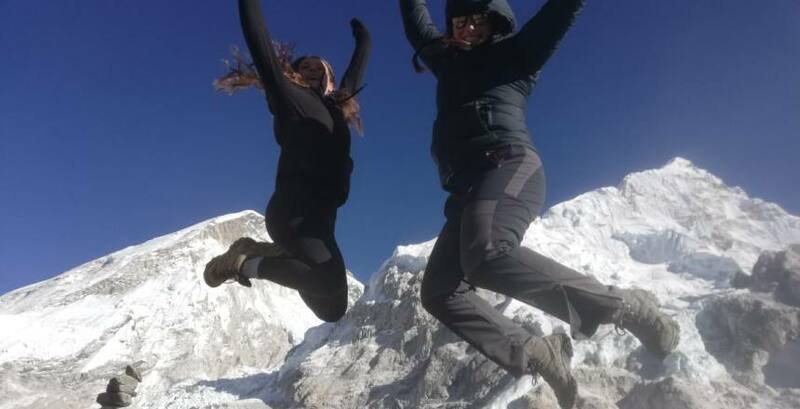 There are three major trekking routes in Annapurna Region:- Annapurna Circuit Trekking, Annapurna Base Camp Trek, Jomson to Annapurna Sanctuary Trek, Ghorepani Poonhill trek. Which is famous short and easy trekking of Annapurna trekking route. Manaslu Himal is located in the Mansiri Himal, part of the Nepalese Himalayas, in the west-central part of Nepal. Its name refers to “mountain of the spirits” which is derived from Sanskrit word Manasa. Manaslu region is untouched and newly famous trekking region of Nepal. It is located in the west-central part of Nepal. 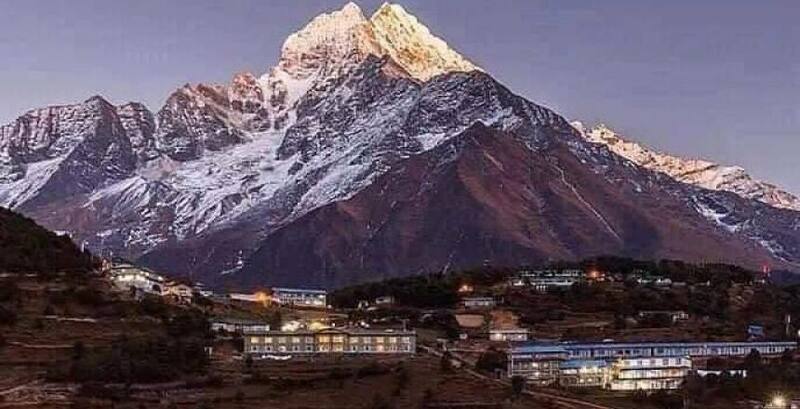 Most popular trekking routes in Manaslu region are: Lower Manaslu Eco Trek, Tsum Valley Trek, Manaslu Circuit Trekking, Tsum valley combine Manaslu round trekking. Langtang is a region in the Himalayas of Nepal to the north of the Kathmandu Valley and bordering Tibet. Langtang Region is considered one of the most popular narrow mountain valleys at the base of central Himalaya. Langtang region trekking route goes through traditional and ethnic villages and virgin forests on the way to the peaks of Langtang. 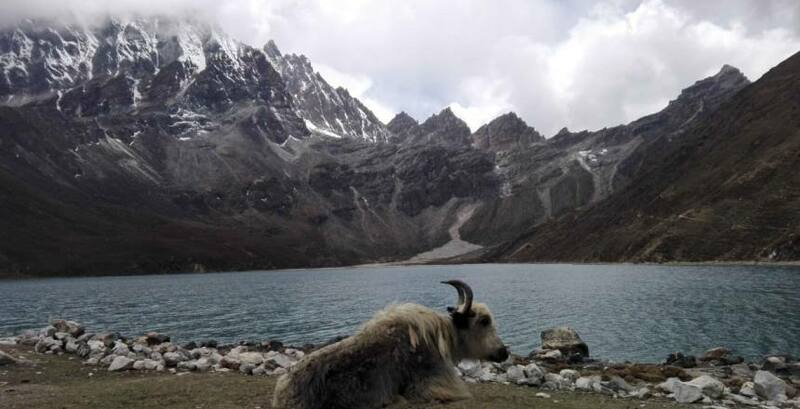 Some of the popular trekking route of Langtang region are: Langtang Valley Trek, Langtang and Gosaikunda Trek, Ganja La pass Trek, Langtang Gosainkunda Helambu Trek and Helambu Trek. Nepal is a country famous among many travelers from all around the world. There are many cultural, religious, historical, mountainous places to visit. However, there are some restricted areas where foreigners are strictly controlled. In these areas, you will either cannot get a permit or you must travel with a liaison officer and should pay for a special permit. The areas which are restricted are “Paradise on Earth” due to the numerous natural beauty, hidden valleys, people and their unique culture, custom and lifestyle. Some of the popular trekking routes in the restricted areas are: Upper Dolpa Trek and Upper Mustang Trek. There are many other popular trekking routes in Nepal and some of them are: Rara lake trekking, Lower Dolpa Trek, Ganesh Himal Trek and many more. Unexpected weather change, wildlife, bad footing, sunburn, dehydration, mosquitos, not getting rescued, altitude sickness. To avoid these risk you should be prepared for the worst. Bring gear and clothes to survive in bad weathers. Don't try to attract wildlife during your trek. They may be charming but they can bring you some unwanted problems. Though Nepal is popular for mountain treks, gear and shoes available in shops are not appropriate for the trek. It's better for you to buy shoes and other gear from your country or reliable shops in Nepal. Sunburn can be avoided if you put sunscreen every morning before heading out. You should drink as much water you can during your trek. Mountains areas are always cold and in such weather, people don't feel thirsty but the amount of fluid needed for your body should be fulfilled. Mosquitos can be very dangerous during your trek because sometime you must stay in tents where you can be bitten by mosquitos. To prevent it you should simply apply mosquito repellent cream in all uncovered part of your skin. The most important thing you need to consider before continuing your trek is to give some information to the people you encounter during the trek like the staffs in a lodge. You should tell them when you will return back from there. There should be someone who knows that you are in trouble and needs to be rescued. When you are trekking to high altitude you should bring necessary medicines for altitude sickness. It doesn't matter how experienced trekker you are, there is always a possibility of getting sick.